Marvel Heroes 2015 has announced its latest playable hero will be none other than Rogue, making her the 38th playable hero to come to the game. Rogue will be unlike any other hero currently available, or Rogues you might have seen in other games. Gazillion wanted to create a Rogue that would be new, exciting and a hero the community would want to play. Rather than making her a brawler or a hybrid, Gazillion has given her something truly unique, while still maintaining the Rogue-ness that makes her Rogue. Rogue will have the ability to steal skills from enemies and friends alike. She'll be able to collect around 90 different skills, which can be rotated in and out of her skillset. While she's not a straight-up brawler, she does possess Ms. Marvel's brawling strength and ability to fly. While Rogue in Marvel history has always had to live with the risk of a dangerous touch, Gazillion is turning that into a design your own character of sorts, where you can collect these skills and customize her power tree based on what powers you have absorbed with her. I like the way that Gazillion is headed with the way they're treating Rogue, and they have the opportunity to keep expanding Marvel Heroes into a game that diverges from your average MMOG. Rogue will also continue to expand, as more heroes become available and she has more powers for her to steal. This will also open up Marvel Heroes 2015 to create new heroes that are unlike other characters we've seen or played before, while also allowing the community to tailor a hero to their specific playstyles. I really believe that what they're doing with Rogue is creative and fun. I'm becoming more and more of a fan of self-defined classes. From something more open like how Rogue is left to the decision of the player to create, to how ArcheAge is doing a class created out of three, to RIFT's soul design or what EverQuest Next is starting to look like. As much as I love to look over class overviews to decide what to play when I'm getting into a game, having to choose between two or three healing classes that pretty much do the same thing with slight differences. As much fun as I've had in those games (hell, I still load up EverQuest every now and then, fifteen years later), I'm looking forward to this trend of having looser designed classes that allow for players to adjust them to their liking. Rigidity of class design is starting to become a thing of a past. Have you looked into Rogue's design? 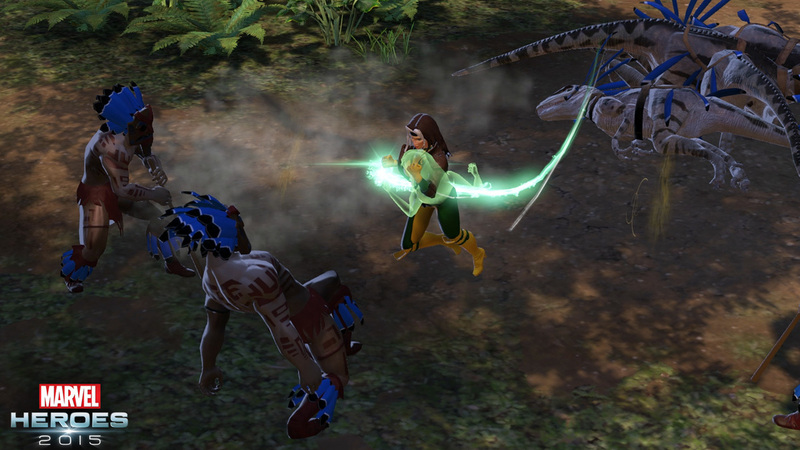 If you're playing Marvel Heroes 2015, are you looking forward to Rogue? What do you think of the freedom to design her to different playstyles? Are you interested in this new direction of class design or do you think MMOGs should stick to clearly defined classes?